This year, during my annual physicals, my doctor – Dr. Jarrett – who has been looking after my health for nearly 10 years, suggested I read a book called “How Not To Become My Patient”. I remember I was asking Dr. Jarrett about not just my physical health – which we obviosuly go thru in every annual physicals – but also about how to keep my brain and memory active. 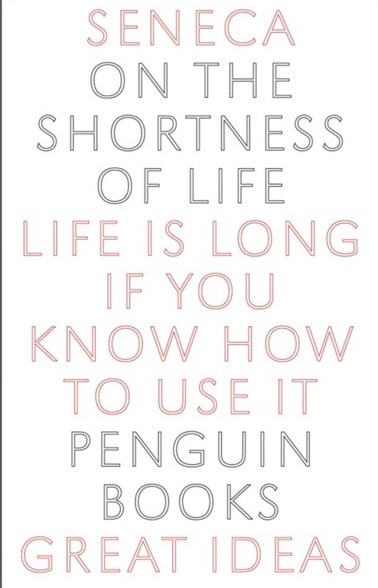 As well as focus on having a full life instead of a longer life – now that I am 52 already. 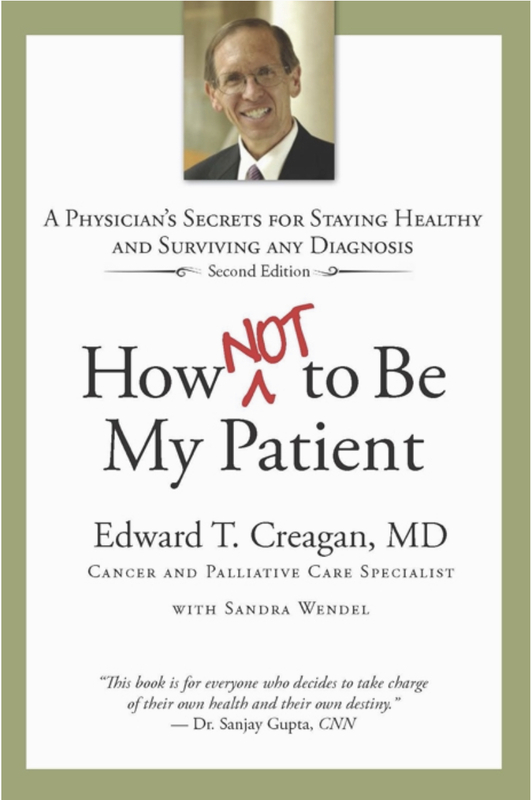 Written by the leading oncologist as well as specialist in palliative care in the renowned Mayo Clinic, Dr. Creado, basically deals with three large topics in this book. The first segment of the book is about what you should be aware of as a patient about doctors and hospitals. That was not so interesting, frankly, to me. The third segment deals with how you cope when you are diagnosed with a life-ending ailment. That part did not interest me either. But I am keeping this book because I think once some doctor some day has that “I am sorry but you have…. and you have … days to live” discussion with me, I might want to read those chapters more thoroughly. What is very interesting though is the second segment of the book where Dr. Creadon deals with a variety of topics – sleeping, exercises, prayers, time management, stress management, being under the sun, nutrition fads and so on. This was the most important part for me, as of this read. It is focused more on the prevention aspect than the cure aspect. If it interests you to learn about what you can do to potentially have a higher quality life – specially in the latter half of your life, this might be an interesting read! You are probably wondering what, with my level of ineptness in dancing am I doing with moonwalking and with my level of modest IQ, am I doing reading about Einstein. Actually, this book has nothing to do with either. This is one more of those great books suggested by the most well read persons (at least on relatively abstruse subjects) that I know of – my MBA classmate Somshekhar. You might recollect that I have been trying to understand how to slow down my inevitable decaying of memory ever since I reached this side of half a century of revolutions around the sun. I even have tried learning by rote anything I can – country names, capitals, NATO alphabet code, periodic tables and so on. That is when Somshekhar had pointed me to this fascinating book. 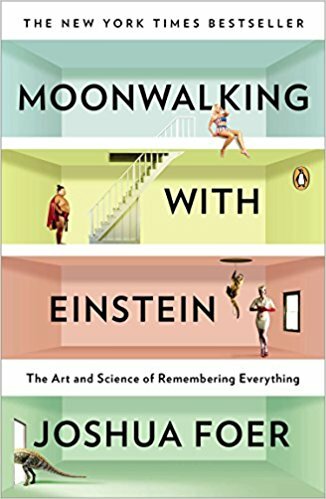 If you have even the least bit of interest in understanding how our memory works, this is a fantastic read. And a reasonably easy read. (*) What does it mean when we say that we have “forgotten” something? Has it been wiped away from our brain? Or have we merely lost the ability to access it? Or have we lost the ability to access it directly, but if you give us some associated data, we regenerate the ability to access it? (*) Why we forget certain things we spent a lot of time on – calculus after those long years – but never forget how to ride a bike after riding a few times successfully. (*) How punctuation marks and spaces contributed heavily to our forgetting what we read. (*) How chess players have no more IQ than you and me. But they have great memories – especially about board patterns. (*) How we reach the “OK Plateau” in any learning. I know it has happened to me in motorbiking. It helps you understand why you reach that plateau and how to get out of it. … and many such things. Are you wondering if the book teaches you how to memorize more? It does and it does not. It is the journey of a young journalist who went from covering Memory Championships to becoming the US Memory Champion in about a year. You will learn about “memory palaces” and “PAO” – and they can absolutely help you remember whole decks of cards and sequence of random digits. But, just like skills that win you car races are probably useless for you to drive from your house to the grocery store, those memory skills are probably impractical for you on a day to day basis. (I did use some of that to remember my grocery store list a couple of times though). Thanks to my classmate from MBA days – Somshekhar Baksi – I chanced upon one of the most fascinating books I have read in a long time. 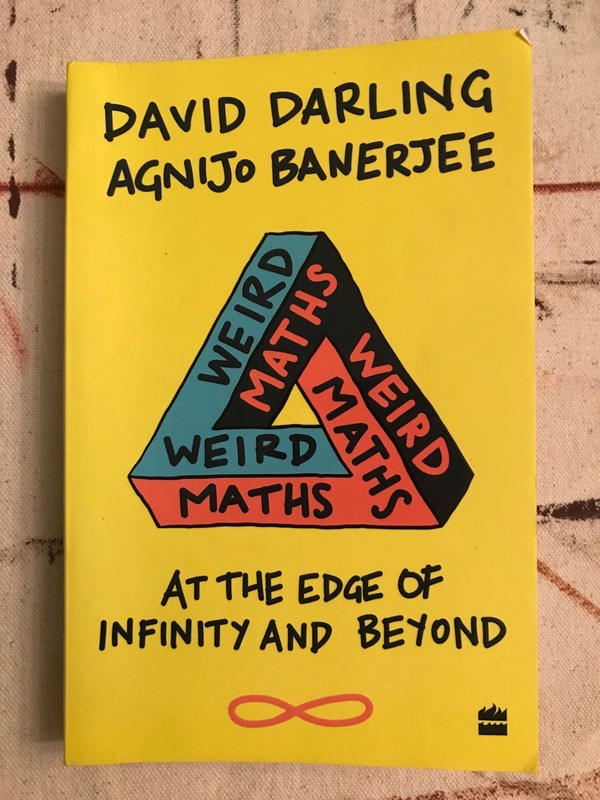 If you are even remotely interested in maths and wanted to learn about some wide ranging topics – but not so deep that you will get lost quickly, then this is the book for you. There are some incredible chapters on the 4th dimension (a great example of thinking about somebody living in 2D always and what 3D will mean to them brings the chapter home), Probability, Prime Numbers (you learn how a great breakthrough in prime numbers was made by a professor while doodling out of sheer boredom listening to a uninspiring talk), Patterns (you realize suddenly that there is no straight answer to a simple question like – what is the length of the coast of a country? It actually monotonically increases without end the smaller your measurement tool/unit becomes! ), Chess and even Chaos (how the world wide web has become today “Borge’s library of Babel” – together with all the drivel and fake news). 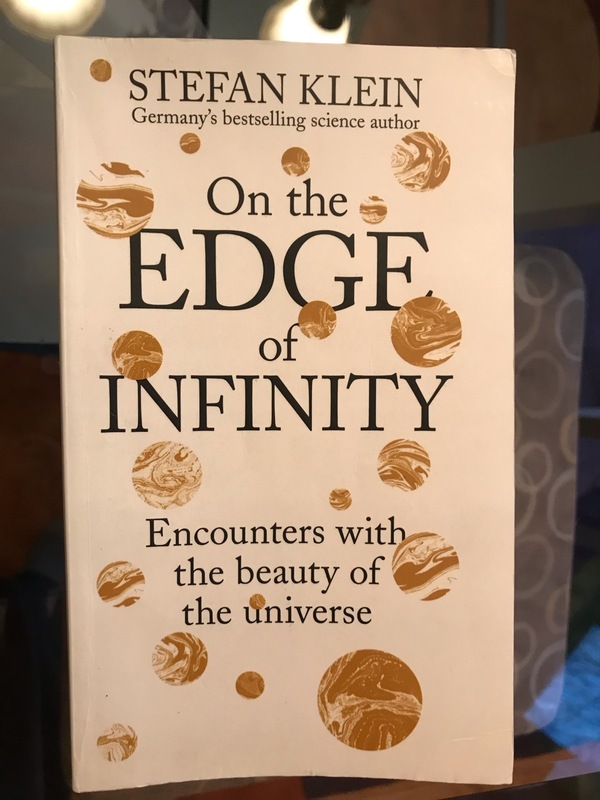 The chapter that interested me most was the one on very large numbers and the concept of infinity (there are infinite kinds of infinities) and why we trip up while thinking about infinity. It is a fantastic read! One problem though. This is not available in USA or in the electronic form. I had to order the paper version on Amazon and wait for three weeks for it to be delivered… from India!! Very recently, a few of us were celebrating a friend’s birthday and the friend mentioned that at our age, he does not look forward to birthdays since that reminds him he is one year closer to his death. That started some very spirited (admittedly, some of the spirit was contributed by the wine we were drinking) discussion on life, how we spend it etc. I made a mental note of going back home and re-reading Seneca’s letter on “On the Shortness of Life”. I cannot remember a better treatise on what causes us to be remorseful of shortness of life than that letter. Roger Whitney and Somshekhar Baksi had pointed me to this literature in the past. “We are not given a short life but we make it short, and we are not ill-supplied but wasteful of it. Life is long enough, and a sufficiently generous amount has been given to us for the highest achievements if it were all well invested. But when it is wasted in heedless luxury and spent on no good activity, we are forced at last by death’s final constraint to realize that it has passes away before we knew it was passing”. Which led me to realize that it is indeed a small part of life that we really live. The rest is not life but merely time. Fortune, after all, is never to be less trusted than when it is the fairest!! If you ever get a chance, read the letter. It is usually available as a collection of three of his most famous letters. The other two did not make that large an impact on me. I read the Penguin Books version. Roger Whitney piqued my interest in Stoicism a few weeks back. I had downloaded a few books to understand what he was talking about and started in a slightly unconventional way. Instead of reading about the subject, I first started by reading about people who have followed it. The history of Cato attracted me. Supposedly a very principled person and Julius Caesar’s arch nemesis (who he viewed as somebody bent on destroying the constitution), he was most famous for how he committed suicide rather than live one day under Julius Caesar’s reign. Ironically, Cato’s son-in-law – Brutus – would be instrumental in the killing of Caesar a couple of years later. I would give this book about a 6 out of 10. It portrays Cato fairly brilliantly. It does a great job of not steadfastly putting up Cato as just a principled person. In fact, it highlights the fallacies and foibles that Cato had too. The times that he seemingly compromised. And the one time that he did not – when it could have completely changed Roman history in his favor. All due to deep seated fears he harbored of Pompey’s ambitions. It also does a great job of the times that Cato stood up to the rest of the world and like the Twelve Angry Men got the world (or at least those who mattered) to his point of view. The best contribution the book has is to trash the myth of the so-called greatness of the Great Roman Civilization. If anything, it lays bare the internecine warfare, the depth at which corruption ran, the mockery of democracy by bribes, the backstabbing, the temporary friendships, the brutal use of force and all those things you would not call a civilization by the adjective “Great”. Where the book gets tedious at times is getting lost in seemingly unimportant details. The book that is 381 pages in lowest size font in iBook (on an iPad Pro) could have been easily put in about 150-180 pages and still contained the full import. (That readers may not have paid the steep price for that thin a book is a different concept altogether)! The other place where the book failed me personally (less to do with the book, more to do with the fact I was trying to understand Stoicism) is the way the authors make fairly weak and sometimes extremely tenuous connection between Stoicism and how that must have affected Cato. As an example, he giving his second wife Marcia off to the sexagenarian Hortensius – and how that comes from Stoic beliefs of women and their (re)productive years is extremely tortured if not outright misplaced. As an aside – and the authors mention it only once tangentially – the parallels between the Roman democracy during those years and contemporary US politics was intriguing to me. The influence of money; the conservative (often associated with the Republicans and Cato) versus the liberal (often associated with the Democrats and Julius Caesar), the use of filibuster, the “oppose everything the other guy stands for” … was almost prescient to me!! Would I suggest you read this book? Not if you are trying to understand Stoicism. 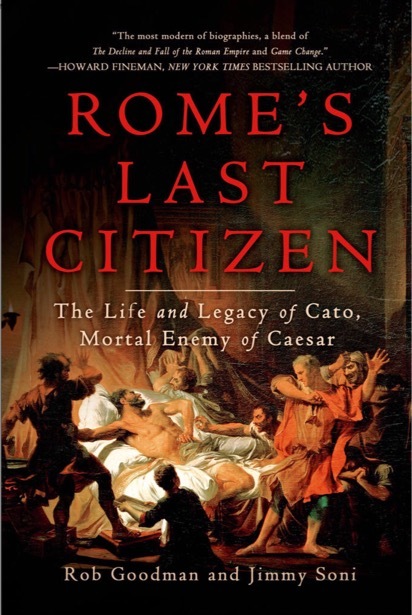 But if you had any interest in understanding Cato or the internal workings of the Roman elite (versus the public), it is a reasonably good read. A tad long though it might be.